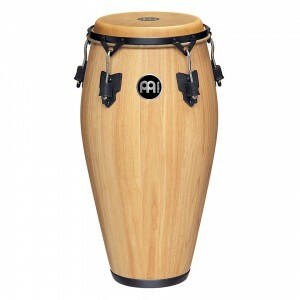 A drumA hollow cylindrical shell of any size that has a head stretched over one or both ends and is b... with African/Cuban origin that is played with the hands. Shaped like a barrel, it sits on the floor or on a stand and can be played sitting or standing. It has a head on one side only.